This chapter explores ngā takepū relationships that positively influence kaiako and ākonga engagement within Te Wānanga o Aotearoa. The focus is on the impact of whanaungatanga, wairuatanga, whakapono, kaitiakitanga, and āhurutanga within the ako process. The approach of being accountable and responsible through key performance indicators are compared to ngā takepū as hoa haere or kaitiaki that are markers of a softer approach. Ngā takepū advocacy of responsibility and accountability are explained as well as their gentle touch as constant reminders of what is just, fair, honorable, and right in the pursuit of mauri ora for all. The call to write about ngā takepū in relation to ako within Te Wānanga o Aotearoa was an exciting one which naturally led to my positive response. However, after the initial commitment, I wrestled with the reality of my positioning, being an Argentinean writing about concepts of Te Āo Māori. After discussing these concerns with a scholar and kaumātua, I was reminded of the bicultural nature of ako within the context of Wānanga. Both Māori and non-Māori bodies of knowledge are invited to participate through the process of ako. I have taken a similar position within rangahau connected to my Master Degree in Educational Leadership and Management ‘Managing quality in a Wānanga setting, two sides of the same coin’. In addition, my PhD study involved quality in Wānanga and extended the rangahau to Indigenous tertiary education in Chile and Argentina. This chapter considers my experiences within the context of Te Wānanga o Aotearoa. 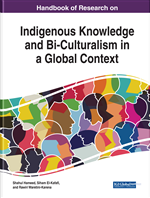 My observations and feelings as a kiako of Ngā Poutoko Whakarara Oranga or Bachelor of Bicultural Social Work, are included in this chapter. Traditionally Whare Wānanga were places of higher learning set aside for chosen individuals who shared knowledge and skills. This framework “benchmarked by others, was a key part of the maintenance of the tribal lore” (Robust, 2007, p. 1). Contemporary, “Wānanga are charged under the Education Act 1989 to run their institutions in accordance with Tikanga Māori and Ᾱhuatanga Māori practices in their work” (Mead, 2003, p. 312). Tikanga Māori is a custom lore used as a basis for all important decision making (Knox, 2005) and “the first law of Aotearoa” (Mikaere, 2012, p. 25). Āhuatanga has been described as a Māori dimension and appearance (Edwards, 2009). This last author asserted that both concepts of Tikanga Māori and Āhuatanga Māori are central to indigenous knowledge. Complex and challenging environments surround education organisations and particularly tertiary education organisations. To navigate quality within these settings, leaders must deal with multiple stakeholders as well as numerous values and goals (Cardno, 2012). Tertiary education organisations strive to achieve high quality standards as education is part of human development and governmental concern (De Knop, Theeboom, Huts, Van Hoeke, & De Martelaer, 2004). The term quality has been difficult to define as it implies multifarious meanings that are portrayed differently from person to person (Sallis, 2002). The concept of quality is elusive and sits within a philosophical realm, at times being problematic (Liston, 1994) or slippery (Walsh, 1994). On the one hand, quality can be perceived as an absolute and be of a similar nature to beauty, goodness and truth linked to prestige. In this context, quality is connected to rarity and expensiveness and is used “to convey status or positional advantage” (Sallis, 2002, p. 12). On the other hand, quality can be a relative concept used as a measurement against criteria that evaluates service (Sallis, 2002). Expectations of quality in all tertiary education organisations are linked to economy in the acquisition of resources, to efficiency in the use of resources and effectiveness in the achievement of objectives. This concept known as the 3Es relates to measurable performances of an audit trail (Ball, 2003). Another layer of complexity within Indigenous tertiary education organisations such as Wānanga is to navigate quality under the legislative requirements of the mainstream world, but more importantly under the umbrella of Te Ao Māori (Durie, 2009). These two worldviews are underpinned by dissimilar characteristics of behaviour patterns, values and beliefs (Walker, 2004) including how the concepts of accountability and responsibility are achieved whilst managing quality (Anderson, 2014). The management of quality requires weaving together processes of accountability and responsibility that are essentially concerned with teaching, learning and research (Ramsden, 1998).